Hearing some of the initial comments on her post, this inspired me to take a couple of the best and play with them in my Paint-Shop-Pro 8 programme...you have to understand that this function of my computer is almost solely confined to picture editing, and sometimes designing prints for fabrics etc...and so manipulating pictures in this way isn't my forte...however, it was fun !! So finally, after fiddling about with these, I gave him a little soft focus respite...bless 'im !! It's truly amazing how much endless variation there can be when it comes to soft focus...how much halo, how much latitude, how much roundness, how dark, how pale...say what ???!!! Endless hours of fun !! I hope you enjoy these, and by all means take them, if you like them enough !! They might make good icons reduced down a little..
Oooh, those are really cool, Wendy. May I add a link to your page in the entry? Actually, I focussed these shots quite a lot, as well as brightening them. You're not in the design business for nothing! P.S. I'm pleased to know you looked at these, by the way. You haven't commented on the manips or screencaps for months, and I thought you had lost all interest! Oh yes...please do give 'em a link...and you will be ecstatic to know that I lurk...in a most unseemly manner !! I do indeed, go and take a peek at whetever you are doing, and I haven't lost interest at all...it's just that often, after a hard day's work, all I have energy and time for is a quick look before dinner, and thus the commenting goes out the window...better at weekends though !! I am really quite jealous about the get-together you soon will be having. I shall post the link straight away, then! And enjoy your time alone, even if you didn't get to go to China. It may get old after a while, but personally I always love a few days with the house to myself. My Fashion Journal is looking quite fab !! Otherworldly indeed. Le happy sigh! 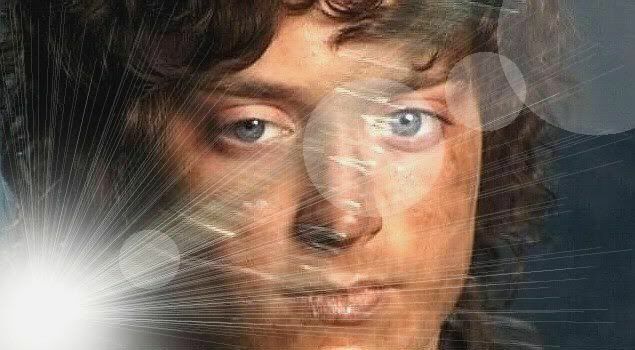 I am very glad to create something with Frodo in it at last !! Doesn't happen very often, but when it does, look out !! Snag 'em if you like, by all means...I think the secret with these picture editing programmes is definitely tiny, tiny adjustments, as the scale of variation is absolutely massive...and the default settings appear to be right at the wrong end of whatever it is that you want, which means that often you try something and it looks horrendous straightaway...always it's " Oh my God - turn it down, turn it down"...so the dial goes down from 100 to about 10, and suddenly, everything looks dreamy and soft, or gritty and interesting !! I was well taken with the sunburst effect, I must say, and the meteor effect is a combination of sunburst, from a different direction, and combination spotlights, lights from another three directions, which you can adjust, like photographic studio lighting !! Glad you like them...take if you want, as they might make good icons, but a credit would be good !! The watery ripple effect was very hard to get right, so that it didn't look too much like a circular ripple as if a stone had just been dropped in..what I was going for was that Narcissus effect !! I love the name for it, "the Narcissus effect". I'll be saving all of these, Wendy. I am never a person who can make up her mind and ends up having something at a luscious buffet - which is what this is. Oh yes...the Renaissance period would have suited him down to a tee...I think that he has been described as a "Renaissance angel" on more than one occasion...and one reviewer described him as a "Caravaggio angel" which I though summed up Frodo quite nicely !! Wow the last one especially is gorgeous! It was a really pleasant little task, and I learnt a lot in the half hour it took, about the functions of PSP8, than in a month of doing photo-editing !! ...and welcome to my number one little Internet spot...do drop in again !! Lovely to see you here !! Thank-you for your kind comment...I think I may experiment again !! It's good to see you, too. I'm very erratic on LJ, but I do peak in now and then--especially when there's such loveliness on display! Cheers. Oh yes, the first one looks like he has a comet, or somesuch, streaking around his head - very fitting for such a heavenly face !! I'm here via mechtild link. Your picture editing is beautiful. I love all the pics, it's quite impossible to choose amongst them. Thank you for sharing. Awww, you added a magical quality to the already gorgeous pics that Mechtild had posted. 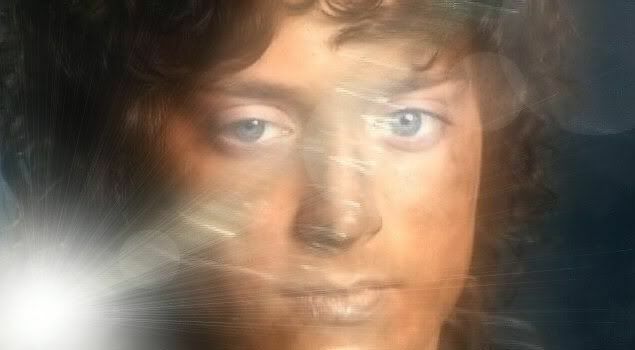 I especially love the last one, I still can't believe how beautiful and ethereal Frodo was, thanks to Lij (and I should be accustomed to it, right now, after all these years!). 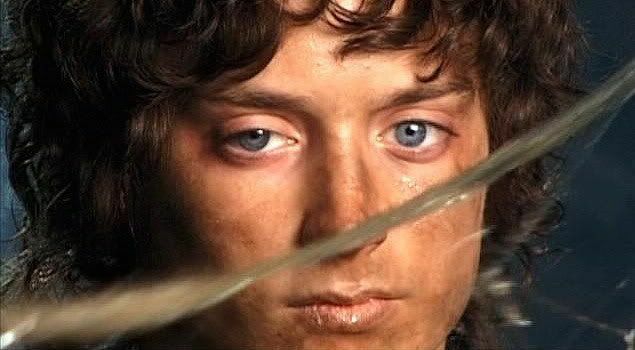 Thank-you, and I know what you mean exactly, about Elijah doing that for Frodo's character!!! Here from mechtild - what beautiful effects! Each makes for a wonderfully different statement. 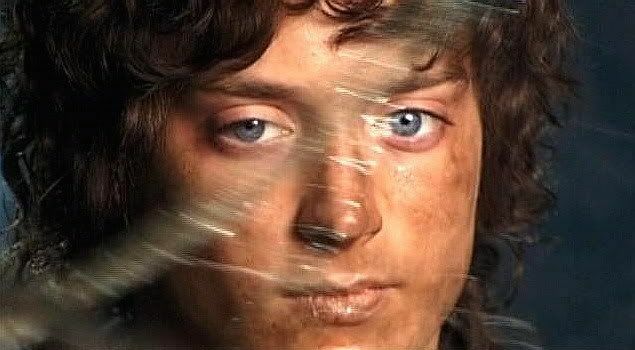 And Elijah's expression there is both limpid, and wonderfully ambiguous, allowing us to 'read in' so much (most of it Frodo'ish, and quite inspirational). Thanks for sharing these. Oh but these are actually not nearly as good as your own masterpieces that you did for various stories...you'll be pleased to know that they're the only manips I have ever saved from anyone else !! 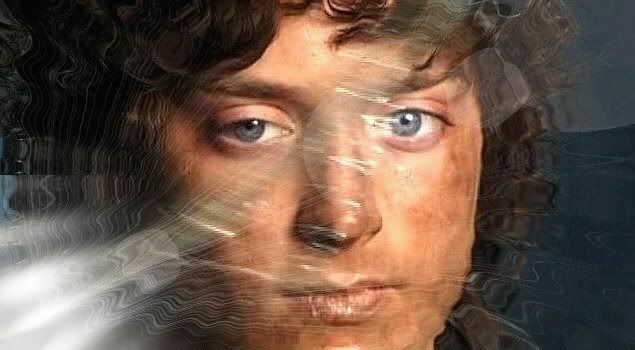 I particularly liked the Frodo in Thought one, where he is wearing a creamy-white shirt, against a black background...which picture did you use for the source on that one ? Oh, my goodness, you are too kind! Thank you! Oh I just loved it to bits...and the one in your icon here, for "Grafting Roses", if I'm not mistaken, is my other favourite !! 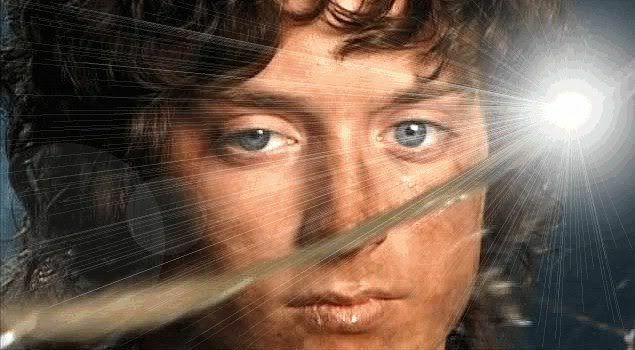 Both are absolutely wonderful...I reckon it's because you appear to see exactly the same thing in Frodo as I do !! Visit my Etsy Shop !! This page was loaded Apr 21st 2019, 6:18 am GMT.